On September 13, Washington Legal Foundation released a Legal Backgrounder authored by three senior officials from the state of West Virginia: Patrick Morrisey, Attorney General; Randy Huffman, Cabinet Secretary of the West Virginia Department of Environmental Protection; and Elbert Lin, the state’s Solicitor General. The paper, Last Call For Cooperative Federalism? Why EPA Must Withdraw SIP Call Proposal On Startup, Shutdown & Maintenance, focuses on a proposed Environmental Protection Agency rule which impacts 36 states’ implementation of the federal Clean Air Act. This proposed rule, as the authors explain, reflects two troubling EPA practices: 1) the agency’s retreat from working cooperatively with state environmental regulators and 2) the revision of existing rules or the imposition of new requirements through the settlement of lawsuits brought by private activist groups (aka, “sue and settle”). The proposed rule involves state regulations that impact emissions occurring during power plant startup, shutdown, and maintenance (“SSM”). Even though EPA formally acknowledges that during SSM, conditions arise that are beyond the plant operators’ control, the proposed rule claims that those 36 states’ rules inadequately address these “excess emissions.” The rule issues what’s known as a “SIP call” (SIP=State Implementation Plan) even though, General Morrisey and his co-authors write, “EPA has not identified any [air quality] violation resulting from an SSM provision in West Virginia’s or any state’s SIP.” The paper goes on to make a compelling legal case why the proposed rule is an unlawful exercise of EPA authority. The proposal attracted a substantial number of comments, some of which were from state attorneys general and environmental regulators criticizing EPA’s departure from cooperative federalism and its embrace of rulemaking through litigation settlement. 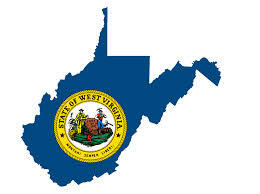 West Virginia’s comment can be seen here. EPA’s sue and settle tactics have been the subject of a recent WLF publication as well as Legal Pulse commentary. In addition, thirteen state attorneys general filed suit against EPA in the Western District of Oklahoma on July 16 seeking information on agency settlements of activist groups’ lawsuits. EPA rejected a February 6 Freedom of Information Act request the attorneys general filed for information on contacts EPA has had with specific activist groups on a specific state-implemented regulation.